We are particularly interested in attracting young people to the cause for a greener more connected lakefront with maximum public access. Our work today impacts millennials and the generations behind them the most. 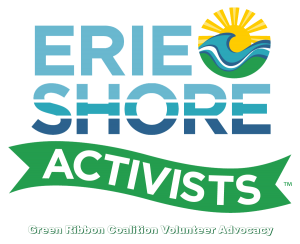 Support the cause for a bold lakefront vision by joining the ranks of Erie Shore Activists, and attending events, volunteering, getting informed on lakefront issues, supporting initiatives on social media, contributing to GRC Annual Fund, and inviting friends to do the same. And urge your elected representatives and community leaders to pursue beneficial lakefront, and Great Lakes environmental protection legislation.